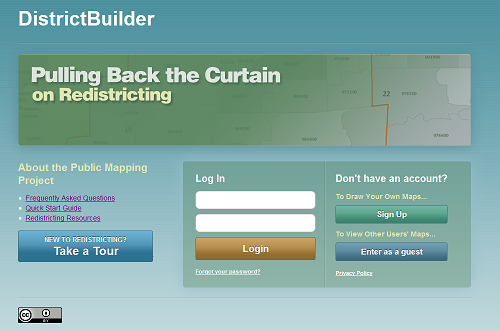 DistrictBuilder is web-based, open source software for crowd-sourced electoral and neighborhood mapping. DSpace is the most popular institutional repository software system in the world. Originally created by the MIT Libraries and Hewlett-Packard, DSpace is now managed by the DuraSpace foundation, which coordinates open-source development by the community. SafeArchive allows collaborating institutions to monitor and provision peer-to-peer replication. Through their institutional repositories such as the Dataverse Network System digital library system or DSpace; LOCKSS and TRAC. Simile Widgets is an open-source “spin-off” from the original Simile Project, initiated by CSAIL and the MIT Libraries, and now maintained by the open source community. The current projects comprise open-source web widgets, mostly for data visualizations and includes Exhibit and Timeline. The UNF software produces universal numeric fingerprints (semantic cryptographic hashes) for digital objects that are immutable to format. It has been incorporated into the Dataverse Network System.